And Ninjini is reserved for emergencies! Not sure on a full list of 10, but Legendary Chop Chop is most used. Together, we can stop sheep abuse! Dark spyro and drobot in that order, that's all I can remember. My most played is with over 600 hours! This makes me ashamed of my Wrecking Ball's playtime. What about 2nd and 3rd? My wife and I play with these the most in no particular order. I have not checked the actual gameplay on each of these. My wife plays with Stealth Elf the most and I play with Boomer the most. I will try to come back and edit in the times! Earth - Prism Break - my favorite character in the series by far. Though I hardly played him in Swap Force as he felt so weeeeaaaak. Life - Stealth Elf...she was my speed run character until SF. she WAS my second/thrid favorite character, but fell hard in SF. Her S2 was so much better than her S3. Tech - Drobot. Most played character period. If something was hard, I'd pull him out. If I wanted to use someone else for a speed run, or it was a speedrun that involved a boss or something 'hard' to cut through, I'dp ick him over Stealth Elf. Add in money trick in SF...yeah. Undead - tough one, I'd wager Rattle Shake...I have three of him (actually 4 including my son's), though my wife logged a lot of time as Hex and Eye-Brawl is a very close 2 as my fav Giant and fav Undead character. Rattle was just too useful for arena challenges and tough parts in SF, I got two of him to level 20 before I had any one else crack 15. Water - Thumpback. He's why I got Giants and I played him a ton, then of course my wife and son loved him and when my mom comes down to visit she'll play as him too. With that said, Punk Shock WILL overtake him...I play her hard these days, she just came out real late in the cycle, so he's had more time than she has. I only know my top three, for some reason. there is already a topic like this. You two are very intelligent. I do have a prefered back up for most of them too but as these guys work so well i just don't use them much. This may sound odd but my family divides the characters up as evenly as is possible, granting access to each other during times of need. My play list might seem peculiar as a result. I have no idea of the amounts of time. Though as a result of wave release dates, my daughter and I have found a couple of pairs that we enjoy playing together: her Smolderdash paired with my Scratch or Punk Shock. If asked this question a year from now they will probably be in the mix. Wrecking Ball is also a character I play with a lot, especially after I maxed out Spyro. I mosty play him because I like his cute voice. There is some kind of glitch with my because in swap force his playtime went from 46 hours (Giants) to 52771 hours. His money got wiped off. So in assuming his money got switched into hours? Not really sure. On swap force though it says his playtime is 0 and no matter how much I use him it stays in zero. So I guess it's corrupt? Anyone else have this problem? I'm not sure. But Gill Grunt, Trigger Happy, Sunburn, Camo, Spyro, Zap, and Wrecking Ball are probably up there close. I would make a new topic for Trap Team but the playtime on that game doesn't display hours for whatever reason. I am sure you can make a guess about . I never looked at hours played when i made my list . It doesn't? Wow, I didn't notice that..
Yeah, in swap force and Giants it was "hours:minutes". In trap team is "minutes:seconds" and it seems to reset everytime it would complete an hour. Thats what I think, because it never go up to one hour. And the timer resets. A LOT. Behold, my Catchphrase of Doom! All of (yes, that's right, ALL) of my Cores, Giants, SWAP Force and Trap Masters are tied for 11 hours. You can't check the Trap Masters hours unless you timed it. 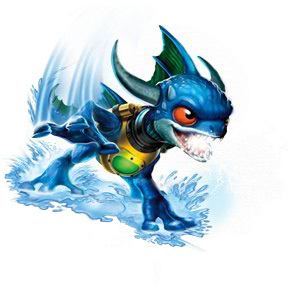 Wait, how can you tell how long you've played as a specific Skylander? Go to your Skylander Stats menu, and depending on who you're playing as, it will show how long you've played with them. Works with all games except Trap team I believe. Interesting, I'll have to get back to you guys on that. And SuperChargers doesn't even track it at all . ^ I dislike how SC removed trinkets, too. If I actually get around to checking all of them and find the actual numbers, I'll list them. I once pulled an all-nighter with . I have to check the times, but probably and . I updated my list and I doubt anyone new characters would be here anyways. I just hope the 6th game brings this back. Do you have ownership of the characters? ...You know, check the "manage" section in the pause menu. Chill. The legendary Lightcore one.